Chief of Staff appoints his deputy to lead crew examining military options day after Iran nuclear deal, as IAF drills for possible strikes. As world powers and Iran reach a deadline Tuesday - which may be extended - for talks on the Islamic regime's nuclear program, Israel is taking steps to prepare for a military strike on Tehran's nuclear facilities so as to defend itself from the impending threat. Iran has refused to allow inspections of its covert nuclear sites and declared it will use advanced centrifuges as soon as a deal is met, meaning the leading state sponsor of terrorism could potentially obtain a nuclear arsenal within weeks, all while getting billions of dollars in sanctions relief through a nuclear deal. The Hebrew-language Walla! reported Tuesday that it has learned from a foreign source that IDF Chief of Staff Gadi Eizenkot has appointed Deputy Chief of Staff Maj. Gen. Yair Golan to head a special team tasked with examining the military options against Iran. The team would explore what kind of striking options are available to Israel after a deal with Iran is signed. By appointing such a senior IDF official to the team, it is estimated that Israel is considering the signing of a deal to be a game changer which would require a serious reevaluation of the regional situation, and likely necessitate military action against Iran. Sources close to Defense Minister Moshe Ya'alon (Likud) say there is a pressing need to present a powerful military option against Iran, a reality which is being used to demand that the defense budget not be reduced by the Knesset. For over 15 years the IDF has been examining the possibility of military action against Iran's ever burgeoning nuclear program, and the majority of the funding for such preparedness has gone to the Israeli Air Force (IAF) and the IDF's intelligence branch. "Iran is lying - what do we do?" A source close to Ya'alon was quoted by Walla! saying, "nothing has changed regarding the military option. Our working assumption is that Iran is lying all the time, beyond the fact that it is funding and directing terror in the Middle East. It (Iran) is our most bitter enemy today, even though we don't share a physical border with it, and we must not put off any kind of preparedness against it." "In the end we don't believe Iran. We don't believe the (nuclear) project will be stopped. Therefore the (military) option will remain. ...We need to be ready also for the day in which Israel will need to make decisions alone. (What) if it becomes clear they are pushing the envelope in breach of the agreement? Or if Iran goes down deep underground (with its nuclear facilities)? And if new sites are found? Will we wait for the US to take care of them?" "You have to prepare yourself for all of the threats. Not only for Gaza and Lebanon," added the source. "The military option costs money but the more time goes by, you're better prepared to carry out the mission." Indicating Israel's growing preparedness ahead of a potential military clash with Iran, the IAF held a special drill with the Greek air force two months ago, in which roughly 100 members of the IAF took part including dozens of crews from all the F-16i squadrons. 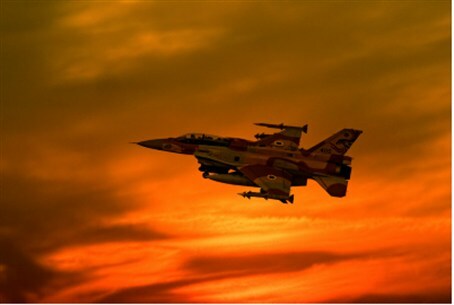 The unusual drill had IAF pilots operating in unfamiliar territory for a night and the following day, and included simulations of strikes and dogfights involving dozens of fighter jets. Most importantly, in the drill the Greek army reportedly deployed advanced anti-missile defense systems similar to the Russian S-300 that Moscow sold to Iran and has yet to ship. The advanced S-300 system is considered to be a major challenge in carrying out an airstrike in that it can shoot down rockets as well as jets.